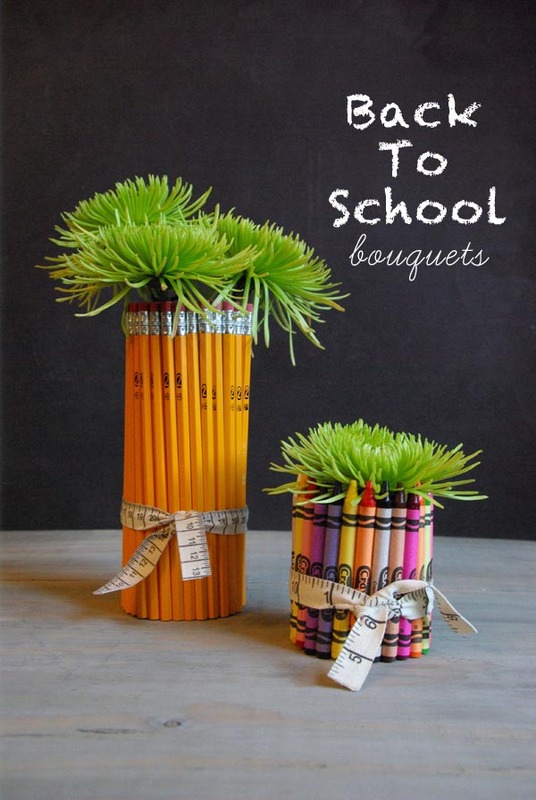 Oleander and Palm's blog has a great "back to school" tutorial, that we think would be great anytime for teacher or for your own home! 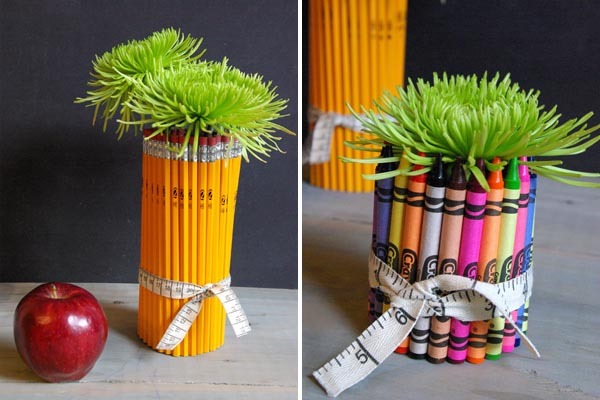 You could easily whip this up for a teacher on their birthday, or use it as a decoration on your own craft table. So many things you can do with these, so much fun to be had! Well, the kids are definitely back in school. We are starting to get into a bit of a routine. I like to start the year off with a gift for my kid's teachers. It's simple Math - Happy Teacher = Happy Students! Last year I made fresh Apple Scones for the teachers and the year before, I made reuseable coffee cup sleeves. This year I thought a flower bouquet would brighten their day. These we easy to make and really didn't cost too much. 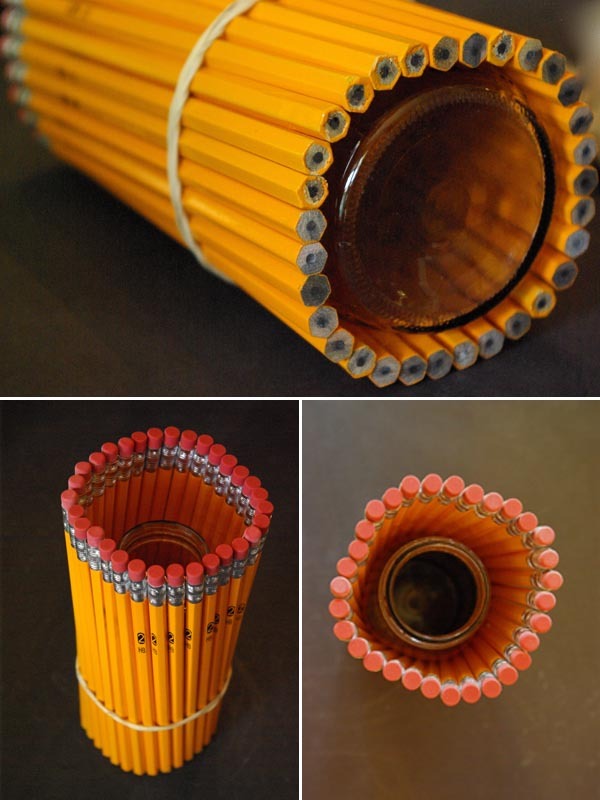 For the pencil vase, I wrapped an empty frappacino bottle with an elastic band and the inserted the pencils all the same direction. 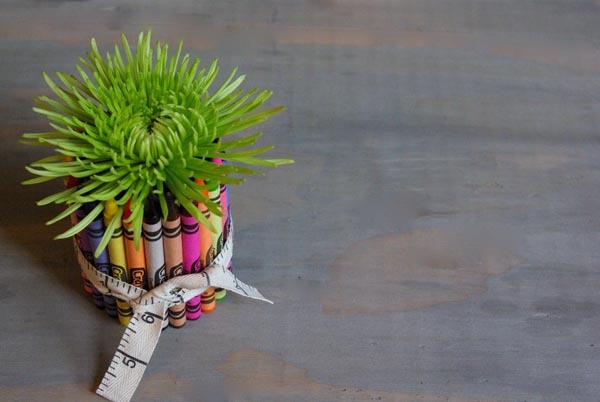 And for the crayon vase I just used an empty baby food jar. Then I simply tied a cute ribbon around the rubber band to hide it and then filled them with flowers. 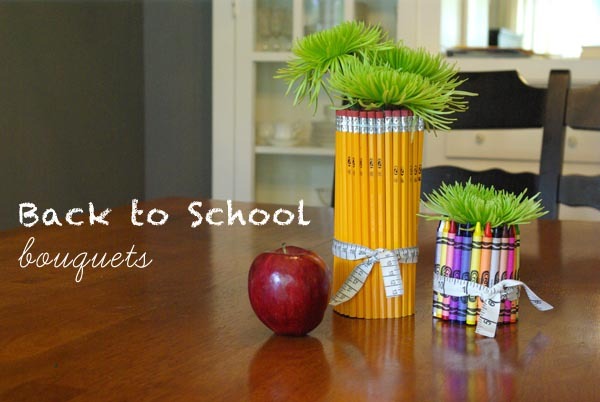 Are your back into a routine with the start of school? Is that routine welcomed or are you longing for more summer?